When we tell people that we keep chickens in our suburban home in the heart of silicon valley they often give us a funny look that indicates that they think we're nuts. But when I explain all the benefits of keeping chickens, they generally come around and some have even decided to keep chickens as well. Better/Fresher/Tastier Eggs - Fresh eggs leave eggs from the grocery store in the dust. There's no mystery as to why.... People who keep chickens in their backyard can control the diet the hens receive. That means that backyard hens are often fed garden scraps, scratch, treats, as well as chicken feed and owners have the option to feed them organic feed if they wish to do so and to allow their birds to forage for bugs and other critters in their yards. A better diet, means better eggs. Additionally, grocery store eggs go through a food distribution system and often take 3 or 4 weeks before they hit the shelf. Then they sit in your refrigerator. Eggs from your own flock go from nest box to refrigerator on the same day. Oh, did we forget to mention the salmonella problems at commercial chicken operations? 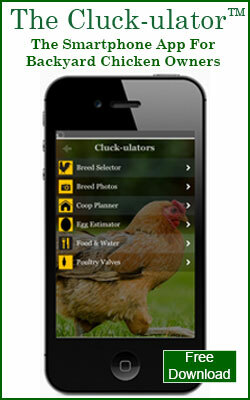 Living Self-Sufficiently - Keeping chickens in your backyard means taking a measure of control over your own food supply. Many backyard chicken owners are also gardeners, so they also grow, harvest and consuming vegetables and fruits in addition to the eggs they collect. It is a satisfying and transformative experience to create your own food. Home grown food is healthier, tastier and generally less expensive. Humane Treatment of Animals - Large scale commercial operations are motivated by profit only. These operations cram birds into small cages where they never see the light of day. Once past prime egg laying, they are slaughtered. 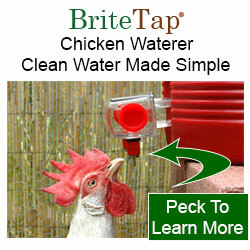 A backyard chicken keeper isn't under the same profit pressure. 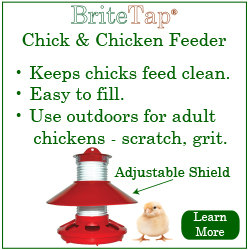 You have the ability to provide your birds with more coop space, a run or pasture where they can free range. Entertainment - Keeping chickens is fun. They are inquisitive funny creatures and its fun to watch them strut around, crow, peck at things, and preen. We enjoy the daily rituals that goes with chicken keeping - getting up early to let them out of the coop, giving them their food and water, collecting the day's eggs. 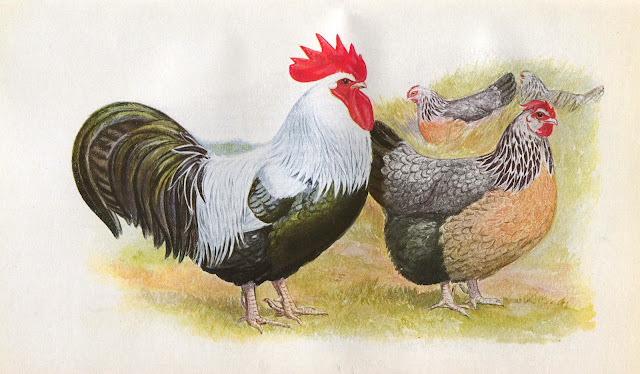 In our opinion, chickens add great interest to our backyard and so we keep a mixed flock with diverse plumage color - a Rhode Island Red, a Barred Rock, A Black Minorca, a Hamburg, a Lackenvelder etc. Learning Experience for Kids - Kids naturally love animals, so having chickens is a great way to teach them about responsibility. In our house, the daily egg collection belongs to our son and daughter. Keeping chickens is also a way of passing on our values to our kids - self reliance, kindness, responsibility, and a connection with nature. Gift for Friends & Family - Nowadays, it's hard to find a gift for someone that they easily buy for themselves. However, we've found that giving friends fresh eggs from our chickens or fresh honey from our beehives is a gift people really appreciate. This is particularly true of eggs since most people only buy white eggs and may only be aware of brown eggs. A carton of our eggs from our coop wows them with different sizes and colors of eggs including white, cocoa, dark brown, pale blue, and pale green. Sustainability - Having a garden and chickens offers the opportunity to be more a Earth friendly because chicken bedding and manure is an excellent component for compost bins. Composting waste from your yard and kitchen is a much better option than tossing it into the local dump. This is because waste sent to the dump is buried in deep pits where it will isn't exposed to the open air and decompose anaerobically (without oxygen). This anaerobic decomposition produces greenhouse gases that are believed to be responsible for global warming. Composting at home, on the other hand, allows decomposes in the presence of oxygen and therefore produces fewer greenhouse gases. For backyard flock owners composting bedding material from the coop and chicken manure combined with yard waste and kitchen scraps are the perfect materials for efficient composting. Composting also provides nutrient rich material for the garden so fewer (or no) chemical fertilizers are needed. Pest Control - Chickens are voracious insect predators and can rid your garden of ticks, aphids, slugs, beetles and other nasties. However, chickens will also eat any tender greens such as lettuces that they have access to and any cherry tomatoes within reach. The best approach is to fence off small green and only allow them to forage in areas where there are mature plants. It's also a good idea to allow them to forage between seasons. For example, after the sweet corn is harvested, allow them to go in and clean out the bugs and then take out the corn and plant the fall/winter veggies like broccoli. Weed Control - Similar to pest control, chickens will take out young weeds so they are a perfect for time periods between crop plantings. If you have a chicken tractor you can let the chickens live in one area for a time and weed it. They will simultaneously add chicken manure to the soil. You can then move the chicken tractor to a new area and clear that out of weeds. Friendship - Chicken owners are a friendly group. Keeping chickens is a great way to connect with other like minded people.